Many companies are embarking on client experience projects to improve client satisfaction, loyalty, and most importantly overall relationship profitability. We believe that these experience projects should be directed by analytics in order to: 1) Form hypothesis on key drivers of satisfaction and identify meaningful gaps 2) Inform and measure client retention efforts 3) Monitor listening channels for changes in client sentiment. This session will walk through a practical analytic roadmap to strategically inform client experience projects. 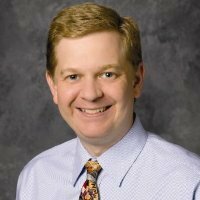 Andy Curtis is a Senior Vice President at Northern Trust. In this role, he leads an enterprise analytics team focused on leveraging data to enhance Northern Trust’s profitability. Prior to joining Northern Trust, Andy led marketing and analytics teams at General Re-New England Asset Management, JP Morgan, and Wunderman. He earned his BA and MBA from the University of Chicago.